Welcome to the Ironhoof Stable 1! 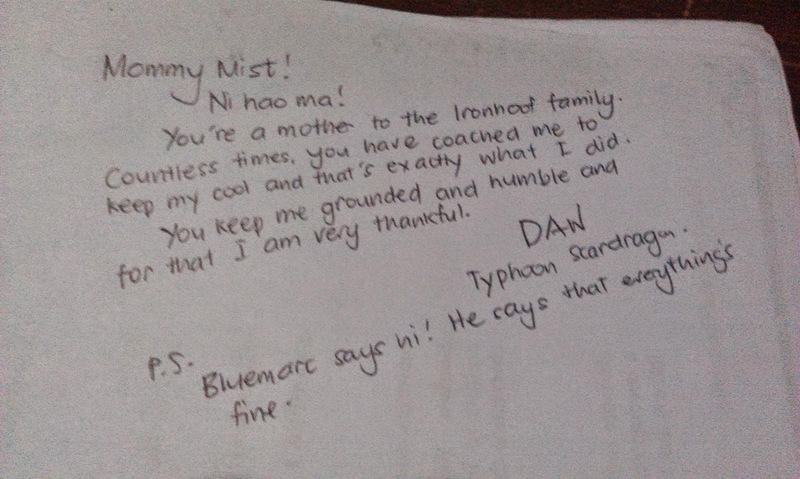 "Only The Steadfast Soul Survives"
[CROUCHING-TIGER-DISAPPEARING-SPOILER]:handsdown: bilib talaga ako sa yo Bi! dahil sa mga connections mo ang dami nating na-accomplish during our Apparition Challenge! 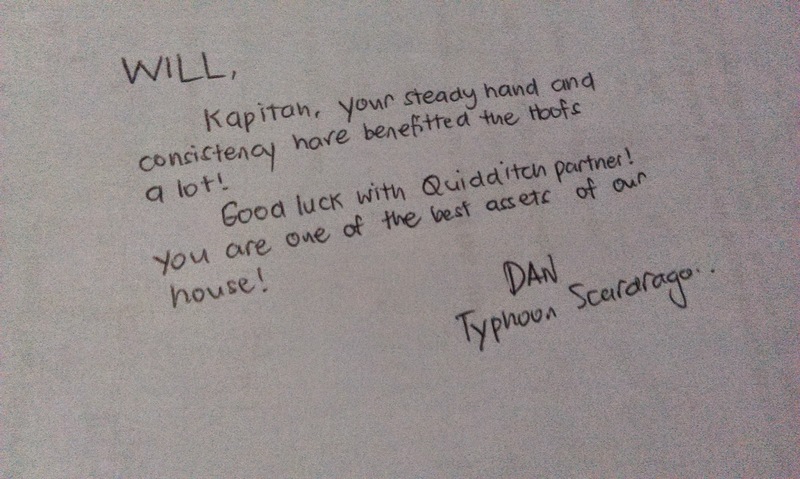 Hindi nga kami nagkamali na "you will be an asset to the Ironhoof house." [CROUCHING-TIGER-DISAPPEARING-SPOILER]Bossing! Hindi ka rin adik sa points no??? Pero seriously, you're a great leader and I salute you for that. Kung may SoWaW III and kung sasali ka ulit, I really wish na magka-house pa rin tayo, you're one of the few people here in PEx who I trust...Salute, Bossing! [CROUCHING-TIGER-DISAPPEARING-SPOILER]What happened to you guys???? knowing that you're still very young, bilib talaga ako sayo! You're one talented kid and I wish you all the best in life, Queen! [CROUCHING-TIGER-DISAPPEARING-SPOILER]Salamat sa pagsali mo dito sa SoWaW! 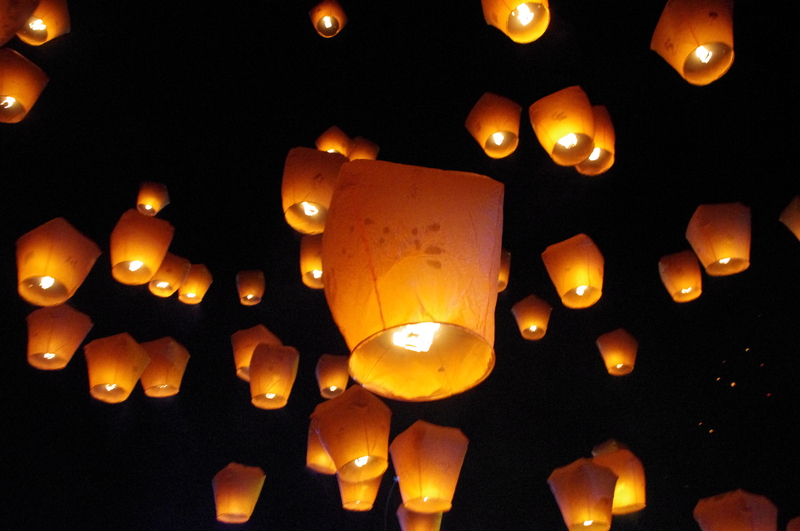 From the bottom of my heart, I give you these sky lanterns. First of all, I would like to apologize for ever doubting you guys. I admit that there were moments when I thought that I was all alone and that you didnt have my back. That I was giving my all and yet nobody even cared. I couldnt have been more wrong. My only regret was that it took concrete proof for me to realize that, when I should have trusted you guys all along. I honestly couldnt have asked for better and more supportive teammates and for that, I feel like the luckiest guy in PExSoWaW. Id like to thank you guys as well for making my PExSoWaW life more colorful. My experience definitely wouldnt have been complete without you. 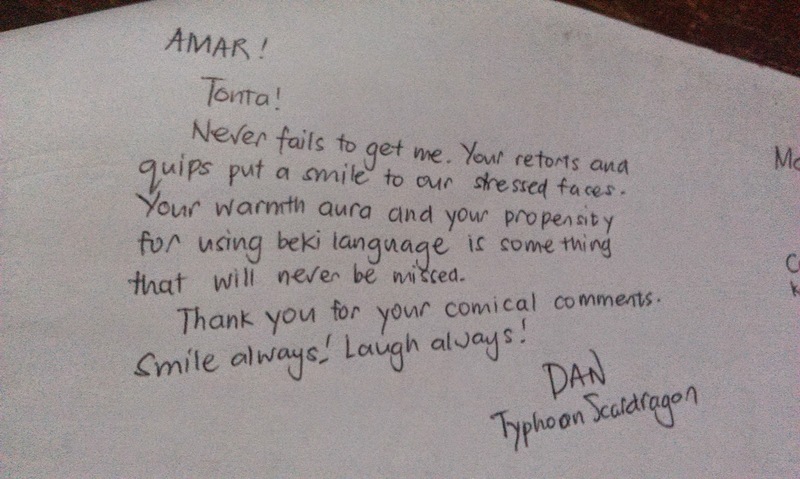 You made all the difficult tasks and challenges seem easy and bearable because you were all very eager and positive. I believe this is one of the most important reasons why we managed to survive and get this far. Id also like to thank you for bearing with me. I know that I havent been a good housemate sometimes, I can be OC and I like to pester you to make sure everything is in order. Im a sucker for details and I sometimes I can be a bit overbearing and emotional and even demanding. Yet, you did not turn your backs on me and still accepted me as one of your own, and for that I am truly thankful. Looking back and seeing how we succeeded in all the challenges we faced even if we had very different personalities, how we managed to be competitive while still being able to build genuine friendships, and how we all managed to work together despite our conflicting priorities and contrasting viewpoints, I had perhaps the greatest realization Ive had so far. Lastly, let me add another phrase to my sorry and thank you: Im proud of us! It is no secret that we havent had the easiest road to the final week. We had to deal with a lot of things - deductions during the first week (and even in succeeding weeks), internal conflict, stressful deadlines, panic-inducing cramming sessions, being the subject of incessant SONAs  name it, weve gone through it. Yet, after all of these, were still standing here, living and breathing examples of our house motto: Only the steadfast soul survives. We have survived the previous challenges, and we will continue to survive the coming ones. We still have a week of challenges left, but I can proudly say that whatever happens, we have shown that we have what it takes to stand up when we fall and continue to fight for glory and victory. 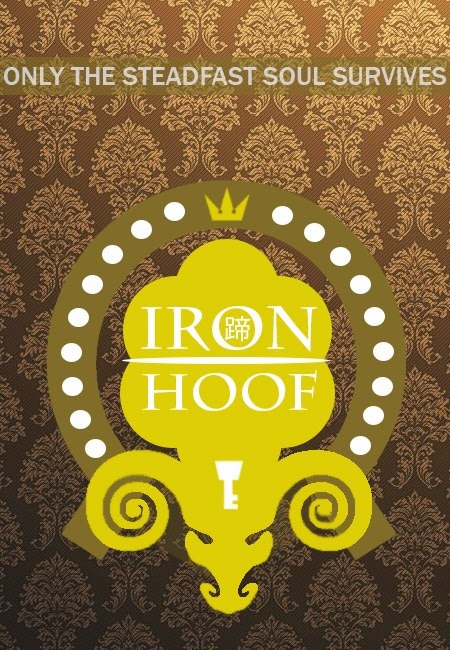 Let me say this first: I'm glad we were grouped together from the Dolphins to Ironhoof. I know you didn't feel the same way initially (maybe until now? ) because you find me intimidating. But that's how you feel and I respect that. Personally, I feel happy because I had the chance to know an amazing person like you. You have a way about you that draws everyone closer. Call it charm, call it x-factor....it certainly makes you one of a kind. 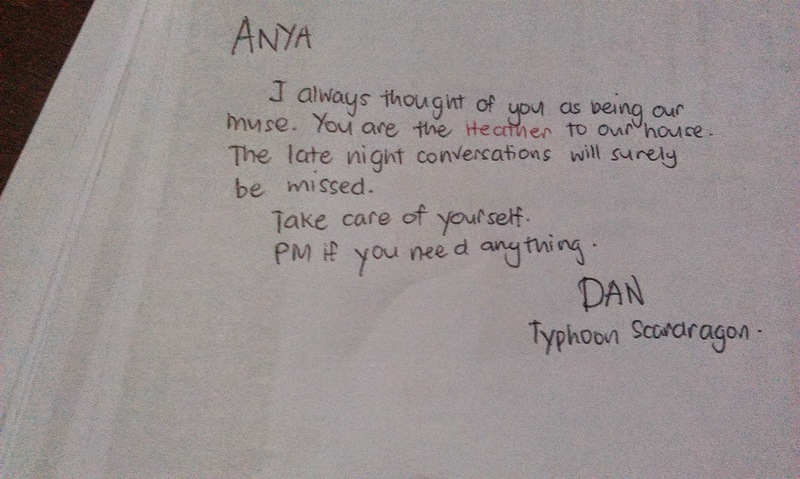 I consider you as one of my closest friends and I hope that we'll still keep in touch after all of this. I'm really glad I got the chance to know you better. Isa ka rin sa mga taong bilib ako not only because of what you can do but because of who you are - a genuinely good guy. I hope we still get to hang out after this. to join since I was sure I would lose interest or forget about this along the way. I guess I got hooked since the folks I got grouped with are loony in a positive way. [CROUCHING-TIGER-DISAPPEARING-SPOILER]Anyasviel Von Einzbern - My only companion from the Bronze Cat Ward, the other half of Double A, the President of SNWDSSB... the early morning chikahan was my cup of coffee at work. 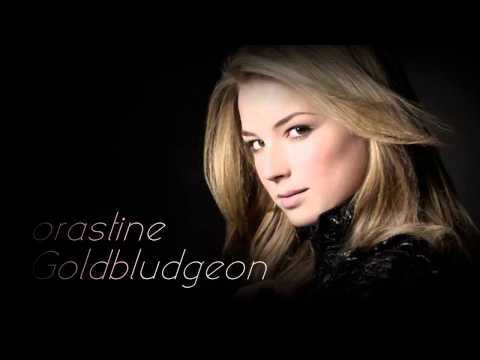 [CROUCHING-TIGER-DISAPPEARING-SPOILER]Astrix Archibald Frostburn - My AVP for SNWDSSB, the final A in Tripple A, pasensya na play time kita parati hahaha buti hindi ka napipikon sakin. 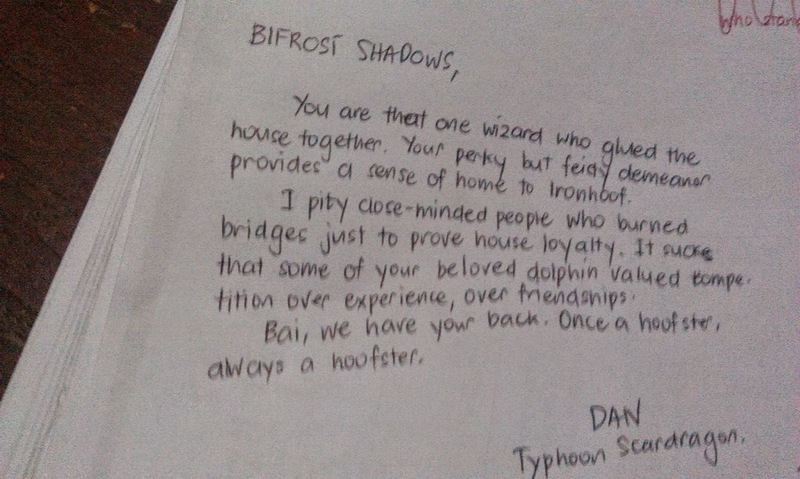 [CROUCHING-TIGER-DISAPPEARING-SPOILER]Bifrost Shadows - The resident "kausap" in the house. Thank you for making the Common Room challenge seem like a breeze when we do our spamming and monologues together. Ikaw lang ang grandslam "Daldalita" Awardee. [CROUCHING-TIGER-DISAPPEARING-SPOILER]Damon Griffith - The Borta who might have been a co-worker kung hindi ako nag AWOL... wala na akong naabutan isaw lol. I like the chika about the good reads, I now have a backlog of ebooks. [CROUCHING-TIGER-DISAPPEARING-SPOILER]Queenfias Womsmocket - Neng, naloka ako at super bagets ka pala. Panalo ka na sa multi task ng school and PEX! Nag enjoy ako sa pag hahanap natin ng mga outfit sa mga ganap with the rest of the eyeliner girls. [CROUCHING-TIGER-DISAPPEARING-SPOILER]Rapunzel Fitzherbert - Bihira lang tayo mag abot, nakaka tuwa yung mga monologue natin sa Common Room. [CROUCHING-TIGER-DISAPPEARING-SPOILER]Willem Perseus Martell - The welcoming committee of the house, I thought I didnt make it pasts WASPS if you did not send me that message. Thank you for being patient specially during Quidditch practice, parang ikaw pa ang mas nalito kesa sa KB heehee. 1. What would you consider the biggest obstacle or toughest experience your house faced during the school term? 2. What is your most memorable experience in school? [CROUCHING-TIGER-DISAPPEARING-SPOILER]All the tasks, everyone was like programmed to know what to do, what the strategy is. Maski wala or konti lang na contribute ko, wala nagtimbang ng members contribution. Enjoy lang and may mga nag encourage. hanggang dito ikaw pa din ang daldalita awardee of the year? From the start, alam ko na Ironhoof ako mapupunta. I only requested sa sorting hat na mapunta ako sa house na puro lang good vibes. Thank you for a fun and a memorable experience in pex, though naging patalo ako sa BB task, doon ko na prove na nasa tamang house talaga ako napunta. Nobody said anything bad, I know some maybe had something to say but instead we all made the adjustments we almost made it to the top, with all those hardships I never thought for a second na nag waiver ang enthusiasm ng team and for that talagang I promised myself to make it a little more push para mag effort . Ika nga nila, family mo lang ang makakapagbigay ng unconditional love sayo parang no ifs no buts! And thats what I felt with you guys! :mecry: For me, let me borrow a school cheer, sana wag masamain ni Bluemarc, Win or lose, its the house that I choose! 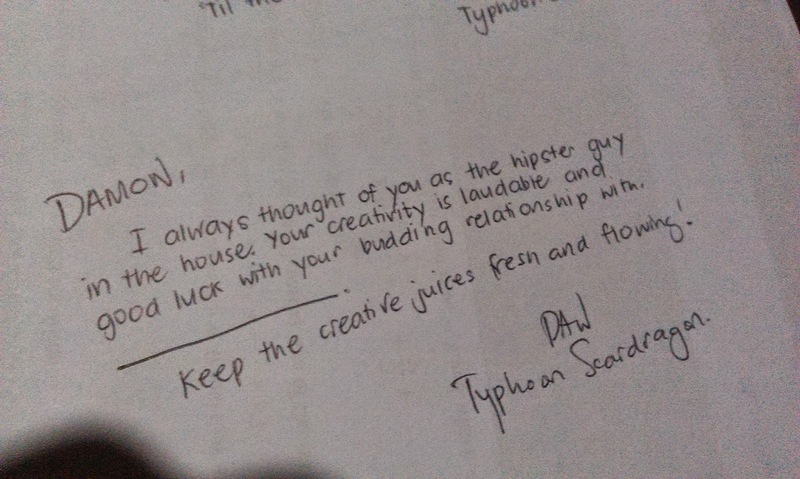 I am more than proud by the mere fact napasama sa Ironhoof ang aking UN. Girl, ikaw pala muse natin.Beauty and brains! Sayang naputol ang samahan natin pero ikaw rin ang una kong ka vibes sa CR. Meron na sana akong baby boy kahit sa pex lang natupad Sarap mong ka biruan at napaka game sa mga task. One big happy family na tayo! Anak, una ko pa lang sa thread feeling close na agad sayo?!? Siguro sa intuition ko na rin bisdak baya tang 2, pero akala ko talaga ka edad ka ng baby girl ko. Tuparin mo pagpagawa ng thread for IH sa Personals ah kasi tambayan natin after sowaw. Isa ka sa asset ng team. Isa sa napansin ko kayo, sobrang harot mo! Ikaw rin ang isa sa mga napansin kong napagaan ka chika sa CR. Sobrang astig mo pala sa video editing. Bossing! Napaka effective ng leadership style mo:hiya: Walk the talk. You do not need to tell others what to do coz all they need to do is follow what you are doing! Younger ka sa akin but I definitely salute you and look up to you as one who made a difference with the team. Once lang ata tayo nagpang abot sa CR about pa sa The Cab topic natin. Sana makausap at makilala pa kita. Kasama mo pala si Damon, bakit di kayo mag sing harot? Grabe mamansin ka naman minsan. Sana nakilala pa kita more kasi medyo serious ka talaga sa CR task. Bunso, the way ka mag post akala ko before sing edad mo lang kami. Napagtanto ko lang minsan lumalabas immaturity mo minsan. Hope makausap pa kita more and makilala. You have included a total of 25 images in your message. The maximum number that you may include is 12. Please correct the problem and then continue again. Officially Mr. & Mrs. Intal! Bianca is so gorgeous yet so simple.